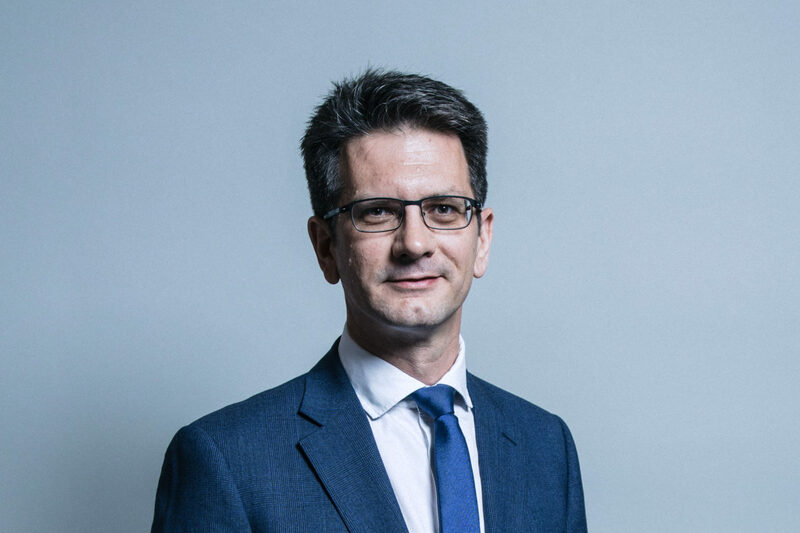 Brexit minister Steve Baker is under fire for not declaring his links to a right-wing, pro-Brexit think tank. The Eurosceptic Conservative MP has been a director and a trustee of the right-wing Cobden Centre since founding it in 2010 but chose not to declare this in the MPs’ register of interests. He regularly praises the centre’s work in speeches in the Commons. Baker resigned his position at the Cobden Centre in June before taking up a cabinet post at the Department for Exiting the European Union (DExEU) – but the Ferret has learned that financial authorities were not alerted of Baker’s resignation and the Brexit minister is still listed as a director of the Centre. Baker’s links with the Cobden Centre are not listed on the register of ministers’ interests. Politicians and transparency campaigners have called on Baker to be upfront about his relationships with pro-Brexit lobby groups. Speaking in the House of Commons on the day The Ferret published this story, SNP Martin O’Doherty-Hughes called on Baker to clarify his position. “They say that in the land of the blind, the one-eyed man is king: and in a week the UK Government yet again showed themselves to be struggling to come up with a strategic vision for what exiting the EU looks like, my fear is that it will fall to organisations like the Cobden Centre, Legatum or the Constitutional Research Council to supply government Ministers with a vision: even if it is the type of low tax, low regulation, disaster capitalism that horrifies most people,” Doherty-Hughes said. Baker resigned in writing from the Cobden Centre’s board before accepting a promotion to the cabinet in the wake of June’s general election. But the DExEU minister remains an official director of the company, according to documents filed at Companies House. Baker is also listed as a trustee of the Cobden Centre with the Charity Commission. Baker has published dozens of pieces on the Cobden Centre website. In 2012, he wrote that a return to the gold standard would provide “a just and moral basis for society”. Baker was not paid for his role as a director of the Cobden Centre. Baker was until recently chair of the European Research Group, a controversial grouping of Eurosceptic conservative MPs. His successor, Suella Fernandes, was also promoted to DExEU during the recent cabinet reshuffle. In December 2016, Baker took £6,500 from an organisation called the Constitutional Research Council (CRC) for hospitality for ERG members. The CRC was the group behind a donation of more than £425,000 to Northern Ireland’s Democratic Unionist Party (DUP) in the run-up to the vote to leave the EU. Baker is also an enthusiastic supporter of Legatum. The Brexit minister has praised the controversial think tank in parliament and on his own website on at least 20 occasions. In November, the Ferret revealed that the Charity Commission was looking into Legatum in the wake of concerns about the pro-Brexit charity’s funding. Baker also spoke glowingly of Cobden Centre in parliamentary debates. In 2015, during a debate on Royal Bank of Scotland, he praised the work of Cobden Partners, which was spun out of the Cobden Centre, “which I co-founded to advance the ideas on which they are now working.” In a 2016 debate on quantitative easing, he directed members of the house to articles on the Centre’s website. During last January’s debate in Westminster on the EU Withdrawal Bill, Baker name-checked Richard Cobden, a 19th-century economist who opposed the Corn Laws. During seven years as an MP, Baker did not record either his directorship or trusteeship of the Cobden Centre in the MPs’ register of interests. Labour MP Ben Bradshaw, who has called for a government investigation into the funding of the 2016 Leave campaign, said Baker’s links with the Cobden Centre should have been declared. “Mr Baker is a cheerleader for the most extreme, damaging version of Brexit and has said the EU “should be torn down”. It now appears he is the director of a lobbying organisation that advocates the hardest of Brexits, but he has not declared the fact,” Bradshaw told the Ferret. James McGrory, Executive Director of pro-EU think tank Open Britain said that Baker’s relationship with the “hard-line, right-wing” Cobden Centre raised questions about who was influencing the UK government’s Brexit policy. “This is the latest revelation of the growing influence of Brextremists like Steve Baker and Suella Fernandes in shaping the hard Brexit direction of the Government. Baker was deemed by Paul Goodman, the editor of ConservativeHome (and his predecessor as MP for Wycombe) as ‘one of the 5 people that made Brexit happen’, due to his role in fighting internally on purdah laws ahead of the referendum. No action was taken by the police. Co-ordination between different campaign groups is banned under Electoral Commission rules and has formed part of an on-going investigation into aspects of the Leave campaign. A former engineer in the RAF, Baker was previously vice-chair of the All Party Group on Aerospace and has links to the UK arms industry. Between 11th June and 29th November 2013, he was a non-executive director of the Royston based Aerospace company Thermal Engineering Ltd. Thermal Engineering’s clients have included Bombardier, Rolls Royce, and the French Aerospace and security firm Safran. A spokesperson for the Cobden Centre said they would be alerting financial authorities of Baker’s resignation. A resignation in writing to any company is the point at which the director officially ceases to be a director of that company. The Companies Act 2006 states that a company should notify Companies House within 14 days of any officer change. This story was amended at 7pm on the same day of publication to include the quote from Martin O’Doherty-Hughes MP in the House of Parliament.